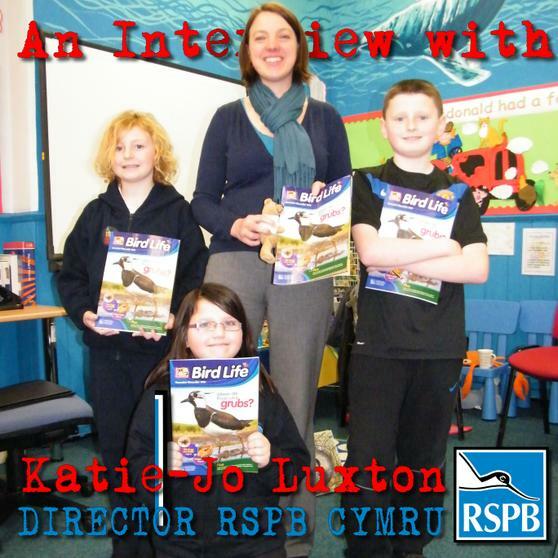 On the 16th January we were delighted to be able to question the Director of the RSPB in Wales - Katie-Jo Luxton- on her work and life. This is an important year for the RSPB which celebrates 100 years. 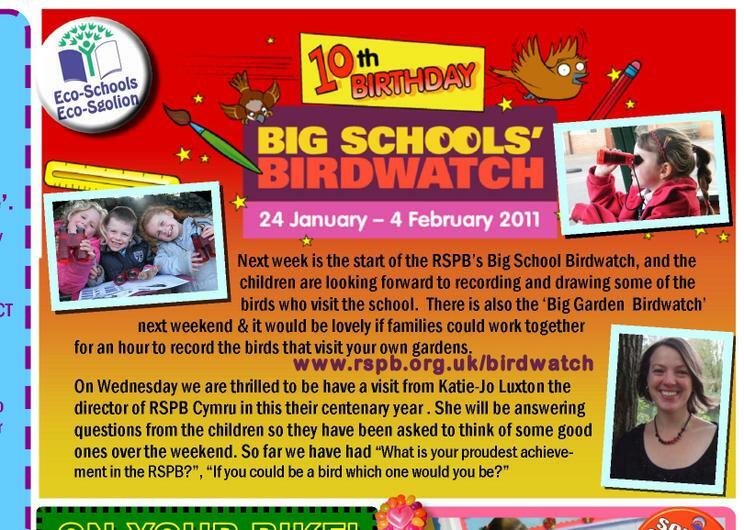 Soon we will be taking part in the Big School Birdwatch too. 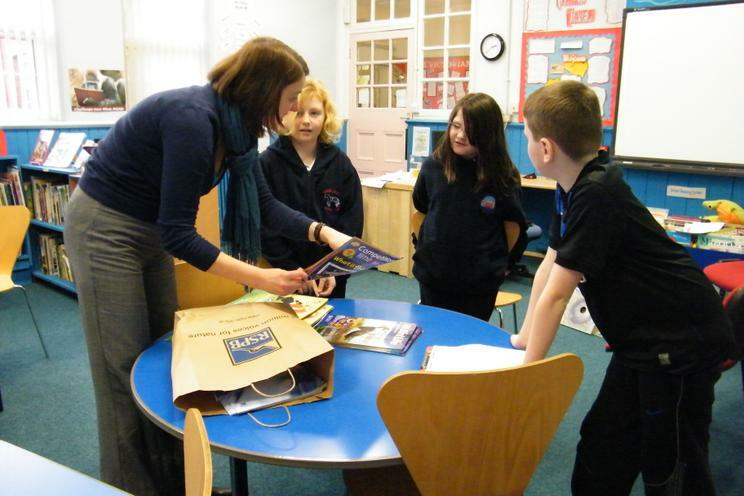 Katie-Jo was very kind and brought lots of things to show the children about the RSPB. Q1: What is the most interesting bird fact you know and what is your favourite bird? Also If you were a bird, which one would you like to be and why? 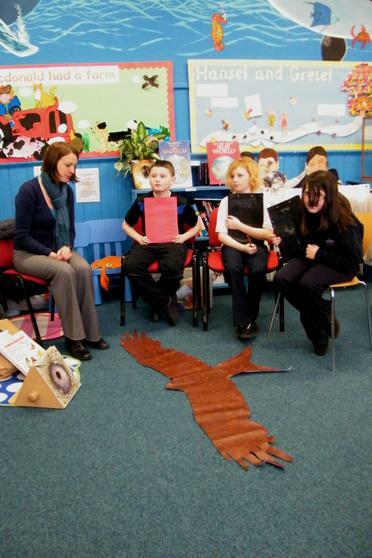 A: This is a tricky one as there are so many fascinating facts about birds that I know. It could be that Arctic terns fly all the way from the North to South Poles. A Peregrine falcon can reach speed over 200mph when it “stoops” down on its prey. Then there are the tiny wrens and there were 64 in this tiny nest all squashed together for warmth. 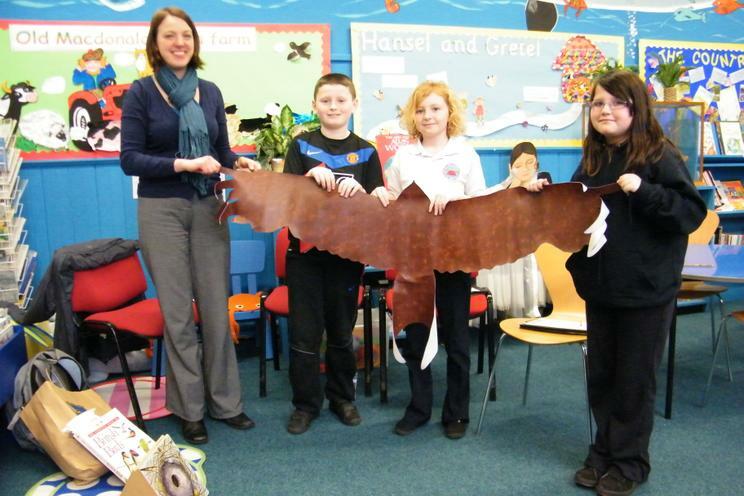 Maybe I would be the Red Kite which has been brought back from the brink of extinction in Wales there are now 1,000 pairs in Wales that way I would get to soar over our beautiful countryside. Q2 : When did you first become interested in Birds and how did you get to be Director? I grew up in Mid Wales, my dad was a farmer and taught me a lot about the natural environment and wildlife when I would help him with the sheep. We would listen to the different bird calls and I am fell in love with wildlife. I am particularly fond of the curlew and lapwing. I was very lucky when devolution came along and saw a job asking if I was passionate about wildlife and interested in politics. Q3: The RSPB was set up in Wales 100 years ago to protect against egg collectors, what is the biggest threat to Birds today? There are lots of threats today, still from mankind, as towns grow there are lots of pressures on the surrounding countryside; there are new more intensive methods of farming that rip up hedgerows and habitat and of course there is Climate Change too. 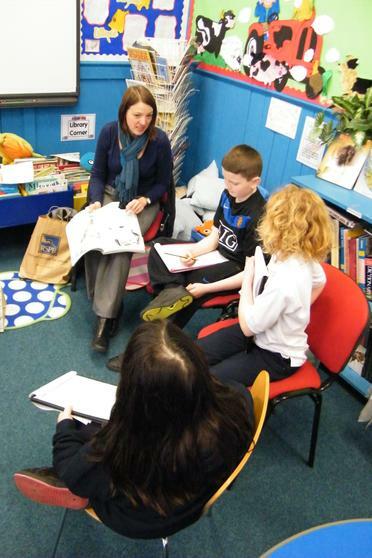 Q4: Article 29e of the UNCRC which the government signed up to over 21 years ago says that states agree the education of the child shall be directed to "The development of respect for the natural environment." Do you think that successive governments have taken this seriously? 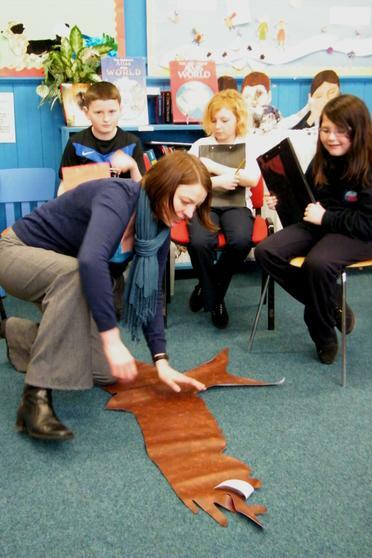 I think that they have tried in recent years to encourage a respect by learning about the natural environment. I think that we all learn more when we get outside into the country and parks and the Foundation Phase does that. 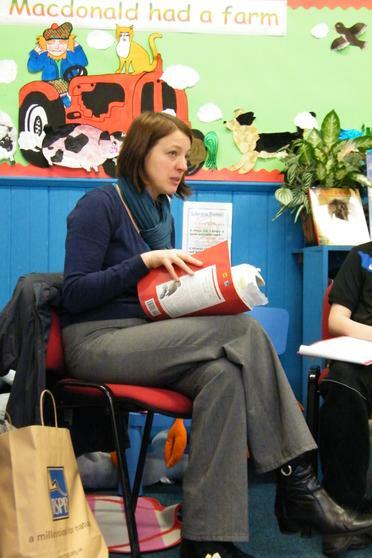 Q5: Do you think that ‘managing bird populations’ such as seagulls is against the ethos of the RSPB? This is a matter of hot debate. All wild bird populations are protected by law, but in certain situations the RSPB is not against culling or management of some populations of birds, for example where there is a threat to human health & safety or if a non native species is threatening the survival of a native species. It’s very important to understand the reasons and interactions between species and why some of them are seen as problems, before taking any action. We would only use humane ways of reducing a population such as dipping the eggs in wax to prevent them hatching, rather than go out shooting. We have also backed culls of non-native birds such as the Ruddy duck that was imported from America this started out competing the local white headed ducks and their numbers fell dramatically. Though some people think gulls are a problem, many like herring gull are actually in decline, its just they have become more visible to us as they move habitats to towns and cities as they forage for food. Q6: What is the best part of your job and the worst? Going out on the nature reserves is lovely. The worst part of my job is doing all the budgets and boring stuff, being sat in the office with lots of different spreadsheets in front of me. Q7: How is Global warming affecting birds in Wales? There are several different ways this happens; it disrupts the patterns of predators and prey, with insects hatching before the birds have arrived to feed on them. Another example is the cuckoo which flies in from Africa to lay its eggs in the nest of other birds, but those birds are starting to lay their eggs earlier, before the cuckoo arrives in this country and we are seeing a decline in Cuckoo numbers because of this lack of synchrony. As the climate changes we will get more warmer wetter summers the habitats of the birds will move north or disappear altogether. There is also the human response to Climate change too, we can lose more habitats in our rush to mitigate the impacts of climate change if we are not careful. For this reason we were involved in the consultation on the proposals to build a huge Barrage across the Severn Estuary which is a haven for wildlife. Q8: Birds do not notice borders, how do you work with other countries and international organisations to help birds? We are very lucky to have an organisation like “Birdlife International” that links together all the different national bird organisations, so we can work together. 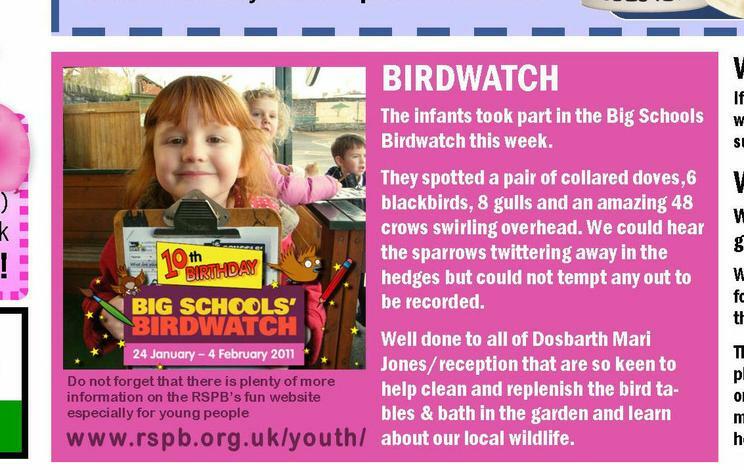 Q9: What have been the benefits of the Big Schools Birdwatch over the last 10 years? Q:10. We recently interviewed the director of the Equalities & Human Rights Commission and found that there women directors are outnumbered at least 3 to 1 in business. Why do you think that is? This is another big issue, whilst there are more and more female directors, sadly it is difficult to be a director and support your family. It is becoming much easier for men to support their children and many find it just as rewarding. Q11: We have pupils who check that lights are switched off and rubbish is recycled, do you have someone who does that in your office? Do you use Fairtrade tea & coffee? Yes we do. 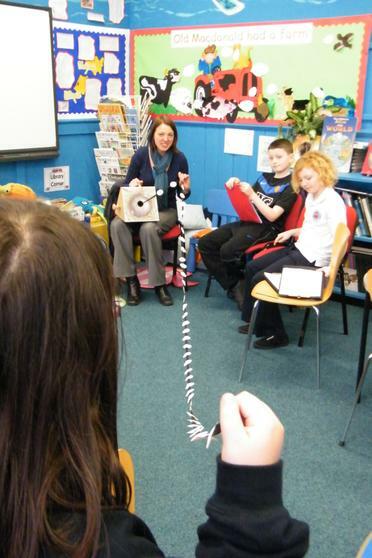 We think it is important that everyone play their part in recycling and using less energy. We have a Greening Group that looks at reducing our carbon footprint, it was easy to make big savings in our first year but after about 5 years it is difficult to keep making big savings. Our biggest item would be travelling and we use a lot of video conferencing which is okay if you already have met and know the people & about 50% of our meetings are done that way. NOTE: when we visited the Newport Wetlands Reserve we noted that the cafe was a Fairtrade one and the RSPB shop sells its own range of environmental friendly Fairtrade chocolate! 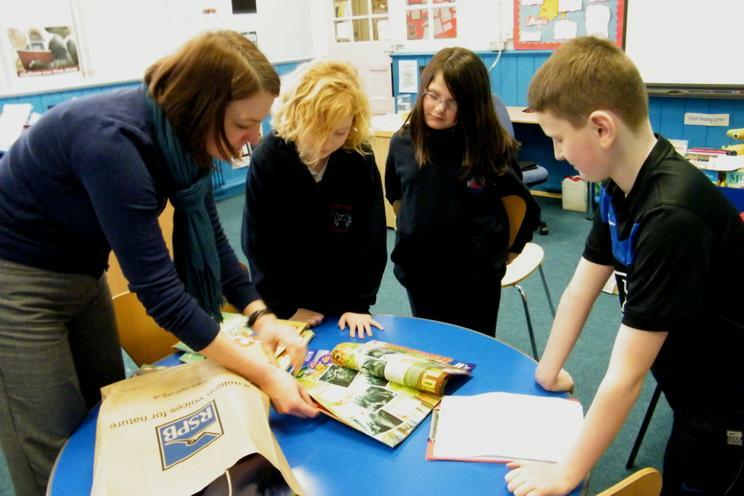 Q12: Why have you working with the Girl Guides to celebrate 100 years in Wales? How are you encouraging boys? Q: 13. Do wind turbines really kill birds? Yes they can do and they can have an impact on bird populations if they are put in the wrong place -such as an estuary or on a ridge- and one of my colleagues spends most of his time advising on planning applications for wind turbines. If it was not a mast design birds of prey tend to perch overnight on the trellis and in the morning take off into the wind and into the path of the blades, all wind turbines tend to be mast designs. The good news is that as a result of our work with wind companies, there are no wind farms currently in Wales that are having a significant impact on birds. Q 14: Last year we celebrated the 'International year of Biodiversity' But most people did not know anything about it? How is Wales performing on Biodiversity? I think that is because most people do not understand the word ‘biodiversity’, if they called it the ‘year of wildlife’ more people would have taken part. Some things are doing very well but we all tend to focus on the bad stories so we can change them, but there are lots and lots of good successes and we are getting better! Q15. When we interviewed the crew of the Plastiki about plastic litter in the sea, we were told about birds dying with stomachs full of plastic. Does marine litter have an affect in Wales? Yes it does, we are finding lots of litter and waste in birds nests. Grassholm Island is home to about 35,000 gannets, and 18 ½ tonnes of marine plastic waste was collected from the island. There were lots of netting, bits of rope and waste dumped from ships rather than plastic litter from land. The Marine and Coastal Access Act of 2009 will help reduce the amount of waste dumped at sea once it is enforced. Q16. What extinct or rare bird would you most like to reintroduce to Wales and why? This is a real question we ask ourselves and people have asked to reintroduce White Tail eagles and Ospreys in North Wales -Ospreys came back all by themselves and now breed in mid and north Wales. Re-introducing birds can have a place but the bigger question is looking at why they went extinct in the first place. 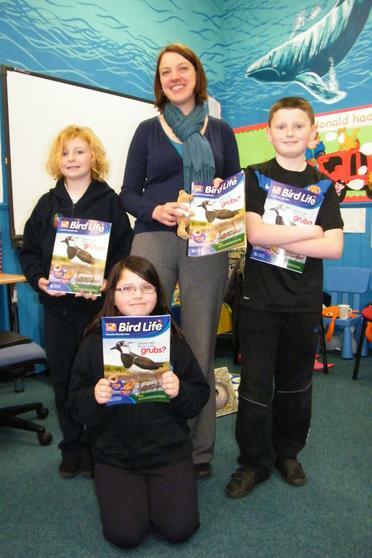 We also need to be looking after the birds we have got today that might be in danger such as the Lapwing & curlew. Q17. 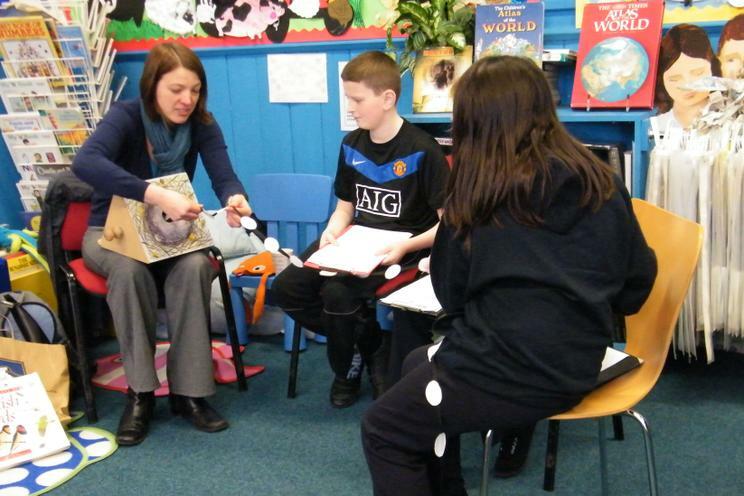 Will the economic downturn affect the fortunes of the RSPB? We are trying hard to make sure that it does not, we have over 1,000,000 members who provide the biggest part of our income; and we hope that they continue to support our work – so far they are have been very loyal. We also get money from Government for lots of the special projects we do and raise money by selling pin badges. Q18. We live in an area of high Child Poverty, bird watching is often seen as for middle classes only, should the government be investing in children or birds? I do not think it’s a middle class hobby, a lot of the most famous birdwatchers and enthusiasts come from very poor areas. Membership in the South Wales Valleys is booming and there are some high areas of child poverty there too. In fact one of the nicest things about Birds is that we all have equal access to them -there is a lot of wildlife in the city too. It is a very rewarding hobby that can cost you nothing. Q19. What were you like at school, girly swat or trouble maker? What was your favourite subject? 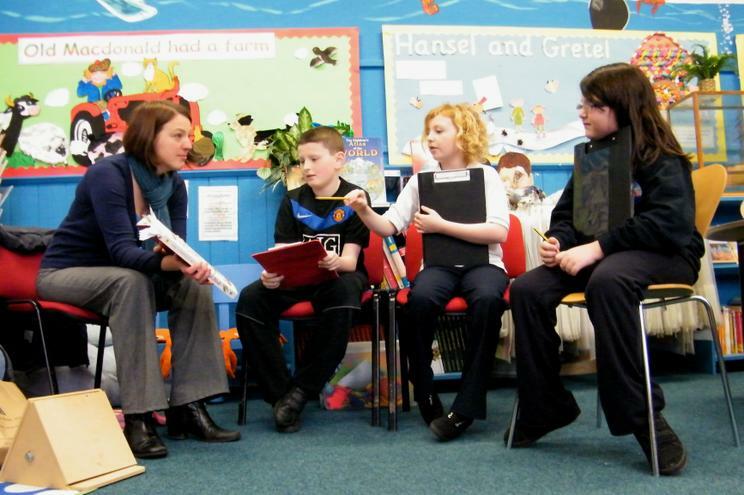 Were you ever sent to the head teacher? I was a bit of both I loved biology and geography and worked very hard at those subjects but I could be a bit cheeky and answer back. Q: 20. Were you ever bullied at school? What advice would you give? 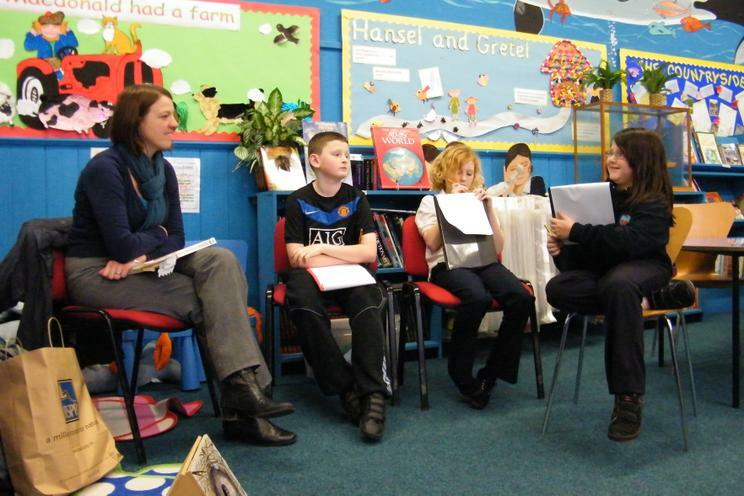 I went to a lovely small primary school with only about 8 children so there was not much bullying, in fact there was only one boy and thinking back we gave him a pretty hard time of it (He is still a friend). I would advise anyone who feels they are being bullied to ask for help and not suffer in silence. We all enjoyed the visit and learnt a great deal about the RSPB and the work involved in being a Director of such a big organisation. 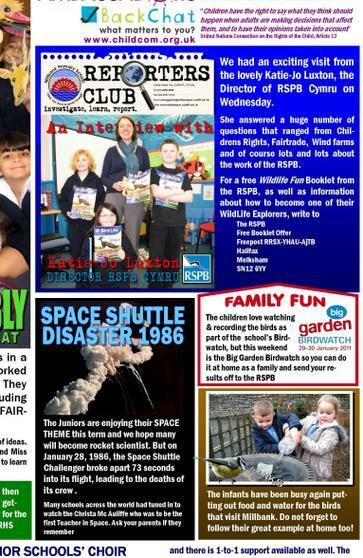 We tried to tell everyone about the Wildlife Fun booklet and the wildlife explorers club in our weekly parents newsletter. (Sadly the website down again that week for some unknown reason). The children are always enthusiastic about helping wildlife in the garden and recording the birds they see as part of the Big Schools Birdwatch. 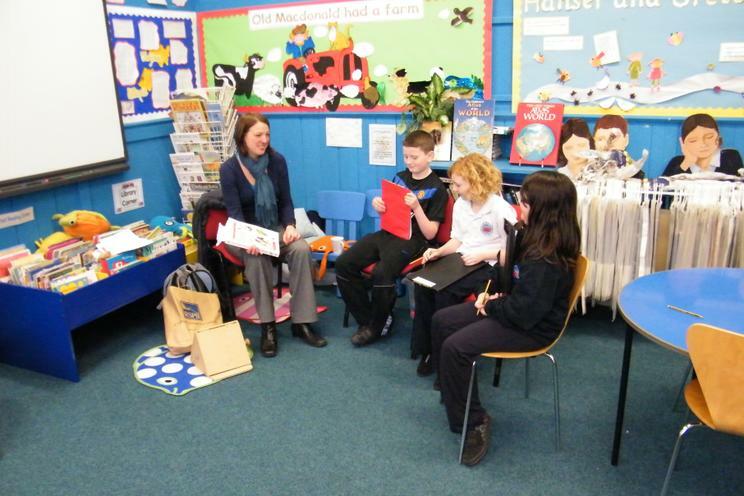 You can visit the RSPB Wales website or the RSPB young explorers. 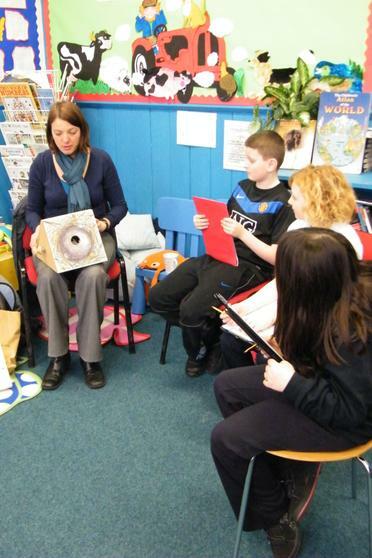 Why not look at Katie-Jo promoting THE SIZE OF WALESproject. Or visit the Newport Wetlands for a fun day out with the family, but remember to take your camera and notebooks too.